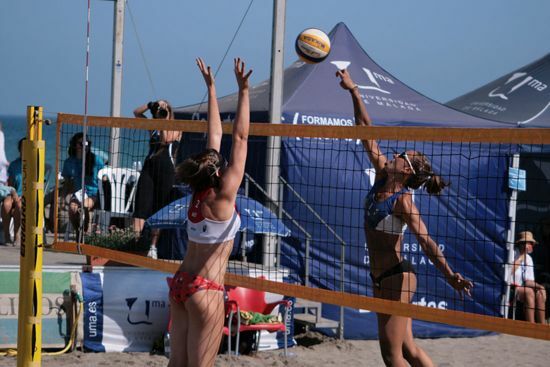 Torremolinos, Malaga hosted the 8th European Universities Beach-Volleyball Championship 2011 between July 17 and 22, with 27 mean teams and 16 women teams from as many as 14 countries participating. 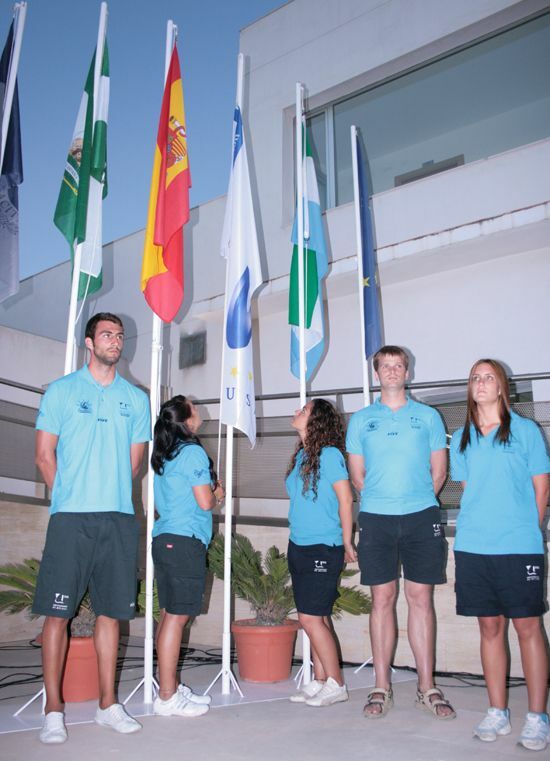 The Opening Ceremony took place on July 18th in Torremolinos at the Albergue Inturjoven de la Música, the accommodation venue for athletes, officials and volunteers. The Ceremony was attended by Pedro Fernández Montes, Mayor of Torremolinos, and Marta Carranza, Vice director for Sport Promotion of the Spanish High Council for Sports, and other members from the Spanish High Council for Sports. On behalf of the Organizing Committee participants were welcomed by Antonio Merchán, an famous Spanish journalist. EUSA EC Delegate Leonz Eder welcomed all participants and wished all the best for the athletes and officials who came to test their skills and abilities. He also thanked the Organizing Committee for all their contribution. 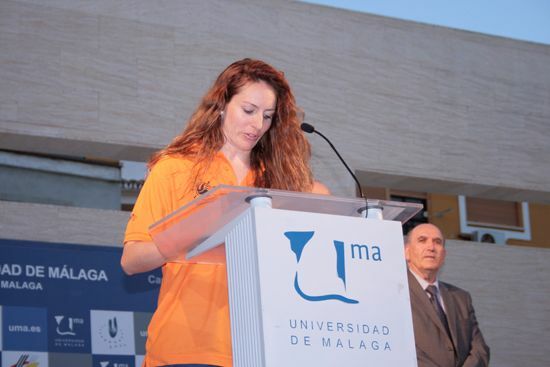 The competition was organized by the University of Malaga with contribution of the Spanish High Council for Sports and the Torremolinos City Council. The University of Malaga also held the 2010 World University Golf Championship, which Mr Eder described as “the best organised championship I have attended”. EUSA Executive Committee was represented by Mr Leonz Eder, whereas the Technical Delegate was Mrs Daniela Erni. They made sure that the event went on smoothly and without problems. 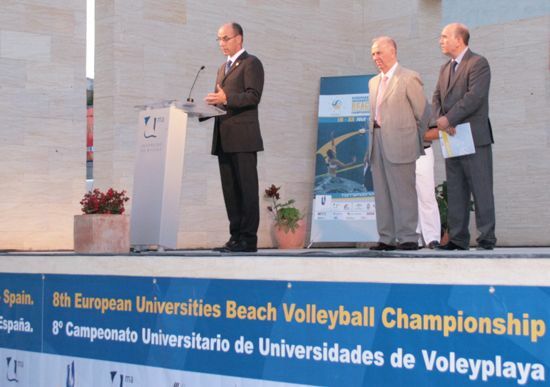 The European Universities Beach Volleyball 2011 concluded on July 22nd with an exciting Closing Ceremony on Playamar beach in Torremolinos, Malaga, Spain. In men finals, the title of champion went to the team University of Lodz who has won a thrilling final match against the team University of Malaga, that has put up quite a struggle. In women finals, the title of champion went to the team University of Malaga who has won an exciting final match against the team University of Vienna, that did not give up without a struggle either. Medals and awards were presented by Leonz Eder, EUSA representative; María Teresa Prieto, Vice rector for Social Welfare and Equality; Aitor Canibe, from the Spanish High Council for Sports; and Pedro Montiel, President of the Executive Committee, among others. 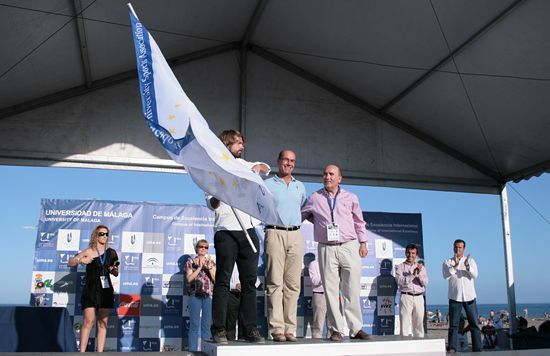 The EUSA flag was passed to the University of Porto, who will organise the next Championship in 2013. The ceremony continued with several performances on the stage, followed by a farewell dinner at the accommodation venue for athletes and officials, where all the participants spent a lovely evening and enjoyed a number of fried fresh fish, the Torremolinos’ treat. 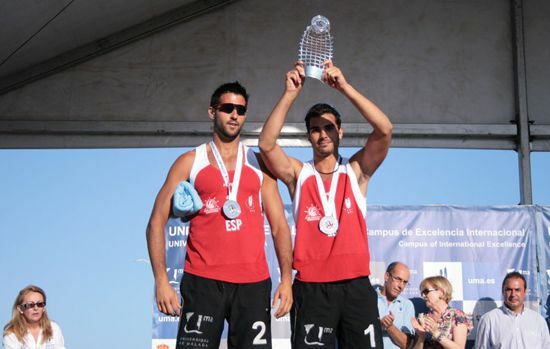 The official website www.eucbeachvolleyball2011.com offers more information about the Championship.